Nitrogen atoms have 7 electrons and the shell structure is 2.5. 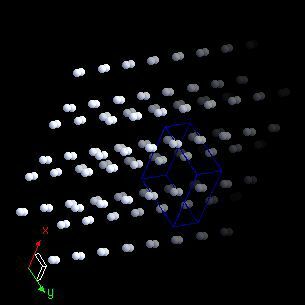 The ground state electronic configuration of neutral nitrogen is [He].2s2.2p3 and the term symbol of nitrogen is 4S3/2. Nitrogen: description Your user agent does not support the HTML5 Audio element. 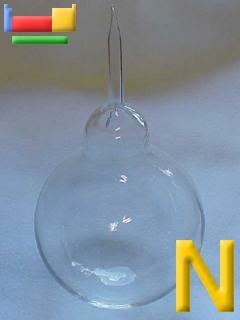 Nitrogen is a Group 15 element. Nitrogen makes up about 78% of the atmosphere by volume but the atmosphere of Mars contains less than 3% nitrogen. The element seemed so inert that Lavoisier named it azote, meaning "without life". However, its compounds are vital components of foods, fertilizers, and explosives. Nitrogen gas is colourless, odourless, and generally inert. As a liquid it is also colourless and odourless. When nitrogen is heated, it combines directly with magnesium, lithium, or calcium. When mixed with oxygen and subjected to electric sparks, it forms nitric oxide (NO) and then the dioxide (NO2). When heated under pressure with hydrogen in the presence of a suitable catalyst , ammonia forms (Haber process). Nitrogen is "fixed" from the atmosphere by bacteria in the roots of certain plants such as clover. Hence the usefulness of clover in crop rotation. The solid state structure of nitrogen is: bcc (body-centred cubic). Nitrogen is a key component of biological molecules such as proteins (which are made from amino acids, and nucleic acids. The nitrogen cycle in nature is very important. Reactions of nitrogen as the element with air, water, halogens, acids, and bases where known. Binary compounds with halogens (known as halides), oxygen (known as oxides), hydrogen (known as hydrides), and other compounds of nitrogen where known. Bond strengths; lattice energies of nitrogen halides, hydrides, oxides (where known); and reduction potentials where known. Nitrogen was discovered by Daniel Rutherford in 1772 at Scotland. Origin of name: from the Greek words "nitron genes" meaning "nitre" and "forming" and the Latin word "nitrum" (nitre is a common name for potassium nitrate, KNO#). 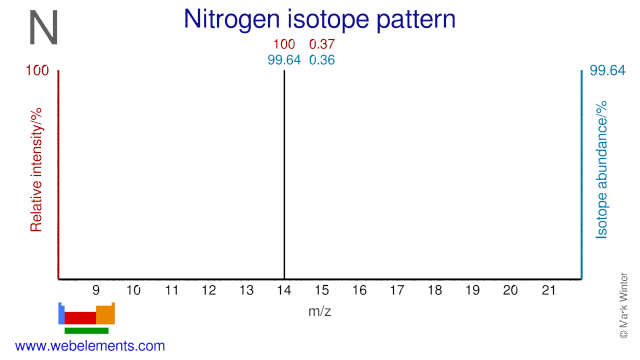 Isotope abundances of nitrogen with the most intense signal set to 100%. Isolation: there is never any need to make nitrogen in the laboratory as it is readily available commercially or through in-house air liquefaction plants. However the decomposition of sodium azide is one route to N2 and decomposition is ammonium dichromate is another. Both reactions must only be carried out under controlled conditions by a professional. Nitrogen is made on massive scale by liquefaction of air and fractional distillation of the resulting liquid air to separate out oxygen and other gases. Very high purity nitrogen is available by this route.